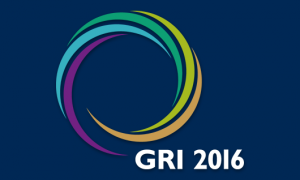 On May 19, 2016, I will be moderating two sessions at the GRI Global Conference. The afternoon session is called “The role of Education in Shaping the Sustainability Leaders we need for the Future”. The panel consists of three professors from highly rated academic institutions (Harvard, Cambridge and Oxford). During the prep call, we already started an animated discussion about the barriers and opportunities faced by business schools to to integrate sustainability into their curriculum. In 2007, an international task force of 60 deans university presidents and official representatives of leading business schools and academic institutions developed the Principles for Responsible Management Education. 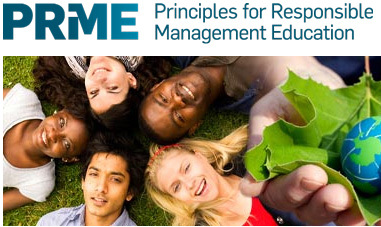 The mission of PRME is to transform management education, research and thought leadership globally, based on the six principles and the United Nations’ Sustainable Development Goals. Or are business schools part of the problem? The session at the GRI conference will be forward looking and discuss what qualities are needed and what approaches various universities are taking to create future-proof, responsible leaders for a better future. I’m looking forward to discussing this all during an afternoon sessions at the GRI Conferenc on May 19 with Richard Barker, Professor of Accounting, Oxford University; Wayne Visser, Senior Associate and Masters Tutor, University of Cambridge’s Institute for Sustainability Leadership and Karthik Ramanna, Associate Professor of Business Administration, Harvard Business School. I much welcome your thoughts on where you see the role of academic institutions in shaping more sustainability minded (future) leaders. Post script: The outcome of this panel discussion is covered in a post on the integration of sustainability in education. Want to find out more about GRI’s 2016 conference? Check out #GRI2016 on Twitter and have a look at my earlier posts with key takeaways from the event and the verdict on the S-word. Marjolein, thank you for the opportunity to weigh in. I’ve recently completed the Harvard Extension program in sustainability and my work experience in corporate responsibility (CR) is nearing a decade. I am very concerned about both the lack of CR themes in mainstream business courses and the gap between academic theory and organizational practice in sustainability programs. It seems to me that universities are attempting to fit course content neatly into the constraints of current systems and business models, forcing a (rather illogical) view of the compatibility of capitalism, a thriving society and healthy ecosystems. The “business case for sustainability” taught in academic institutions is consequently shortsighted and based on concepts of minimal investment and slow, incremental impact reduction. I am beginning to fear that academia is too much a part of the existing profit-based system to stop perpetuating it, though I genuinely hope to be proven wrong. It is not only a matter of teaching CR in business programs, but also one of rethinking business drivers at large, an endeavor that goes far beyond consideration of the SDGs and to the heart of the purpose of academia. Education is power and we need institutions that inspire a whole new school of thought, one that diverges significantly from the status quo. 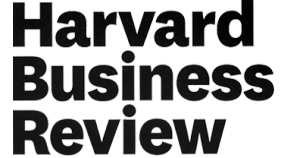 Do corporations want a new breed of activist MBAs? Probably not, but the world certainly needs them. Thanks Constance, much appreciate your candid commentary. I’ll probably insert a quote or two from you in my questions to the professors! Nelson Mandela stated that education is the most powerful weapon we have to change the world. I believe there is a lot of truth in this statement, fostering a deep felt responsibility for everyone working in education. The next question is how to do this. That’s where I still have many questions. But I am sure that creating a meaningful dialogue with students about personal values, purpose in (working) life and critical reflection on our behavior will be important pieces of the puzzle. Thanks for your comments, André. Could not agree with you more – the question is whether universities make time for such meaningful dialogue and sessions about values.